Club Historian Dr. David Kilpatrick offers a glimpse at one of Armenia's most popular soccer teams before tonight's preseason matchup. 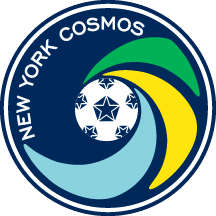 After a storybook season that saw the club earn its seventh North American Soccer League championship as well as reinforce its reputation as America’s international team, the New York Cosmos begin their pursuit of an eighth star in familiar fashion, with a friendly against yet another foreign foe. The champions will face FC Ararat Yerevan at Citrus College Stadium in Glendora, Calif. this Saturday, Feb. 20 at 7 p.m. PT. The Cosmos have never played in Armenia or faced an Armenian side before, but the club has a deep connection with the Armenian people since Andranik Eskandarian joined the team in 1978. While playing for the Cosmos, the former Iran national team defender endeared himself to the Armenian-American community, serving as the National Director of the Armenian Sports Council. That pride in Armenian heritage has been passed down to his son, current Assistant Coach Alecko Eskandarian. The White Eagles were formed nearly 81 years ago as Spartak Yerevan. In 1963, the club rebranded from Spartak to take the name of the sacred mountain that wraps around three sides of the capital city of Armenia. Founded in 782 BCE by King Argishti I (29 years prior to the founding of Rome), Yerevan is home to nearly a third of the nation’s population. But to the millions of Armenians scattered around the globe in the diaspora following the Armenian Genocide of 1915, FC Ararat Yerevan represents a sporting link to their ancestral homeland. Currently sitting third in the eight-team Armenian Premier League at the winter break, Ararat Yerevan are the country’s most popular club. Fifteen matches into the 28-match season, Ararat are seven points behind first-place Alashkert. Local rivals FC Pyunik are the defending league champions, and with thirteen titles Pyunik lay claim to being the most successful club in Armenian Premier League history. But Armenian soccer history extends well beyond the 24 years since that league began. Armenia declared independence from the Soviet Union in August 1990. The Football Federation of Armenia was formed in 1992 (the year after the dissolution of the Soviet Union) and the Armenian Premier League began later that year. In 2012-13, the Armenian Premier switched from a spring/fall to a fall/spring schedule. Ararat have won the league only once in the post-Soviet era (1993), but have finished runners-up four times — most recently 2008, also the last time the club won the Armenian Cup. The club’s golden era was the 1970s, when legendary Spartak Moscow player and coach Nikita Simonyan (an ethnic Armenian) left Moscow and immediately led Ararat Yerevan to the 1973-74 Soviet Union league and cup double. The club’s proudest moment might well be the quarterfinals of the 1974-75 European Cup (now the Champions League). Facing eventual champions Bayern Munich, Ararat won the first leg 1-0 before a crowd of over 70,000 at Hrazdan Stadium (which currently seats 53,849). Franz Beckenbauer’s side won 2-0 in Munich on their way to the title, but Ararat Yerevan had solidified its status as the representative side for the Armenian diaspora with arguably the greatest achievement in Armenian soccer history. Today, less than a third of Armenians live in Armenia. The club’s three-match, 10-day midseason training camp in California is testimony to Ararat Yerevan’s exalted status in the Armenian diaspora community. The Ararat Yerevan side that will face the Cosmos will include two former United States U-20 players, Moisés Orozco and Bryan de la Fuente. Orozco features as the attacking midfielder. The former Tigres player still needs to decide if he will pursue full international status with the United States or Mexico, but he’s now also eligible to represent Albania. Midfielder/forward de la Fuente, a native of Laredo, Texas, is probably best known to U.S. soccer fans for his stints with Chivas USA. Aleksandar RakiÄ‡ led the team in scoring in 2014-15, but Gevorg Nranyan is now the team’s go-to striker in the 4-2-3-1 formation, scoring five goals in 12 appearances last fall. Goalkeeper Gevorg Prazyan also joined Ararat at the start of the 2015-16 season, featuring in all but three league matches in the fall, including the last eight. Ararat went undefeated in those last eight league matches with Prazyan in goal. The Cosmos will face the Fresno Fuego at Chukchansi Park on Wednesday, Feb. 24 and the San Jose Earthquakes at Avaya Stadium Saturday, Feb. 27. But this first preseason friendly against Ararat Yerevan adds to the club’s cosmopolitan legacy of facing more foreign opposition than any other side in North American soccer history.